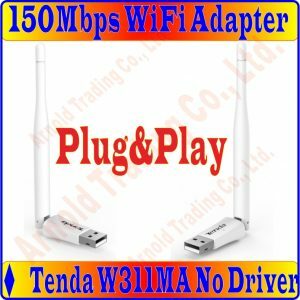 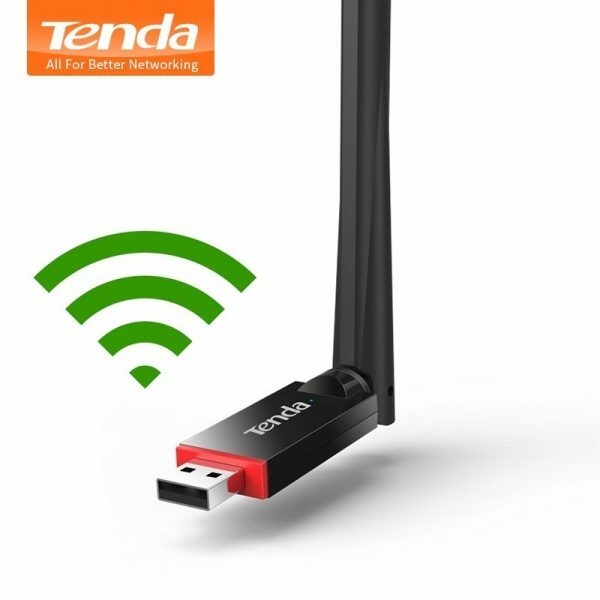 Buy Tenda U6 300Mbps Wireless Network Adapter USB Network Card, Portable Wi-Fi Hotspot, 1*6dBi External Antenna, Station/SoftAP Mode - In Stock Ships Today! 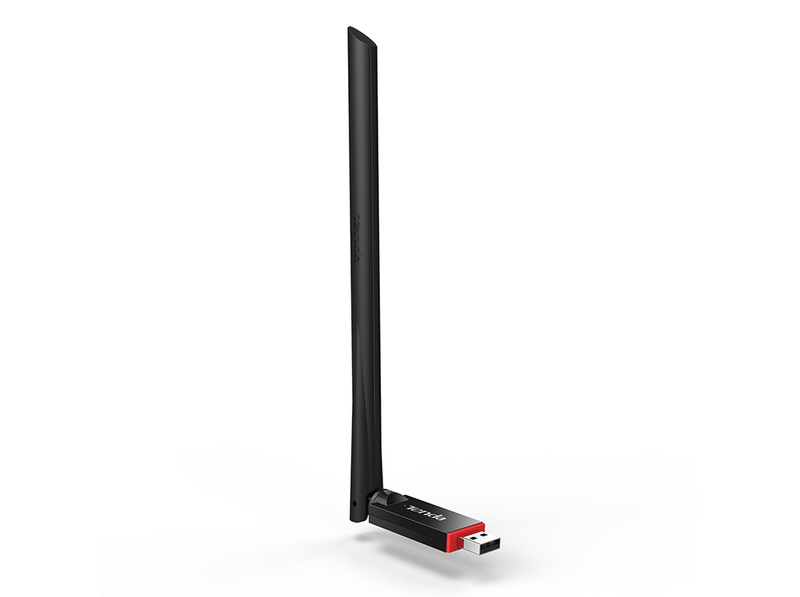 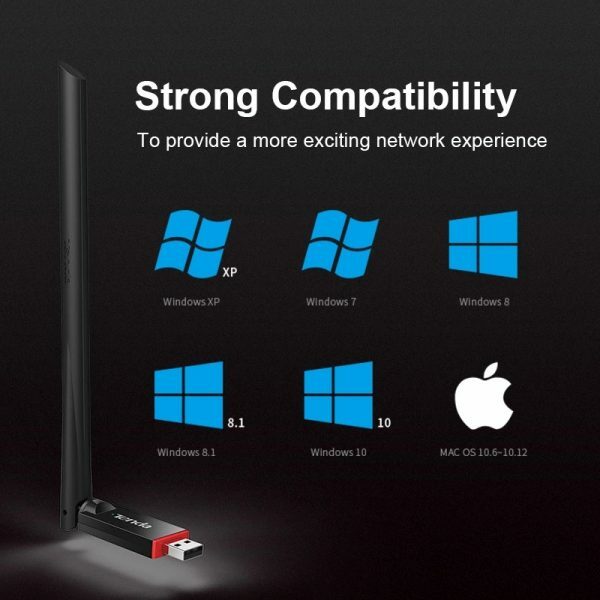 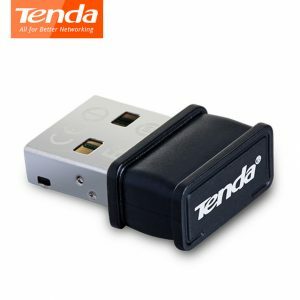 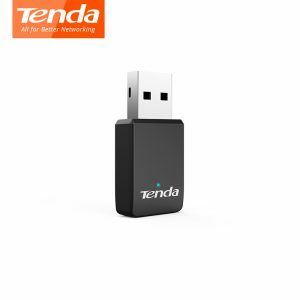 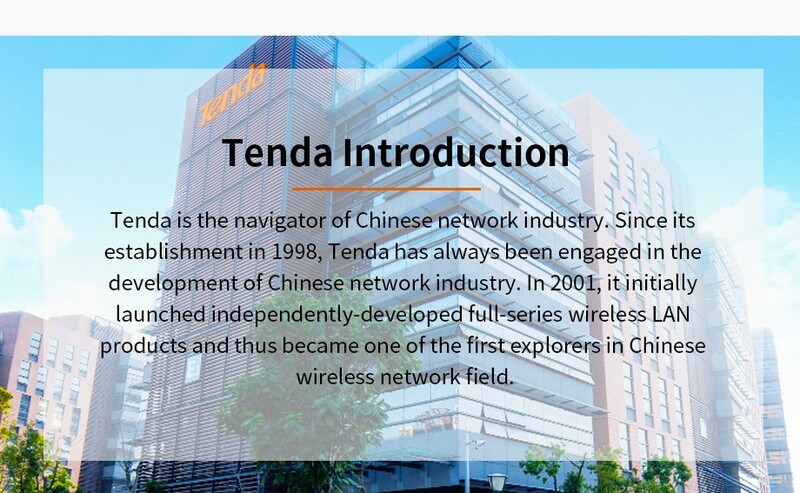 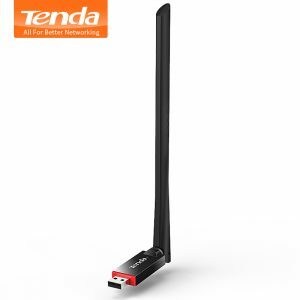 Tenda U6 Wireless N300 High Gain USB Adapter,The real 6 dBi ultra-long OFC high-gain antenna sets a record high in signal transmission and reception distances, allowing you to pick up wireless signals anywhere at home. 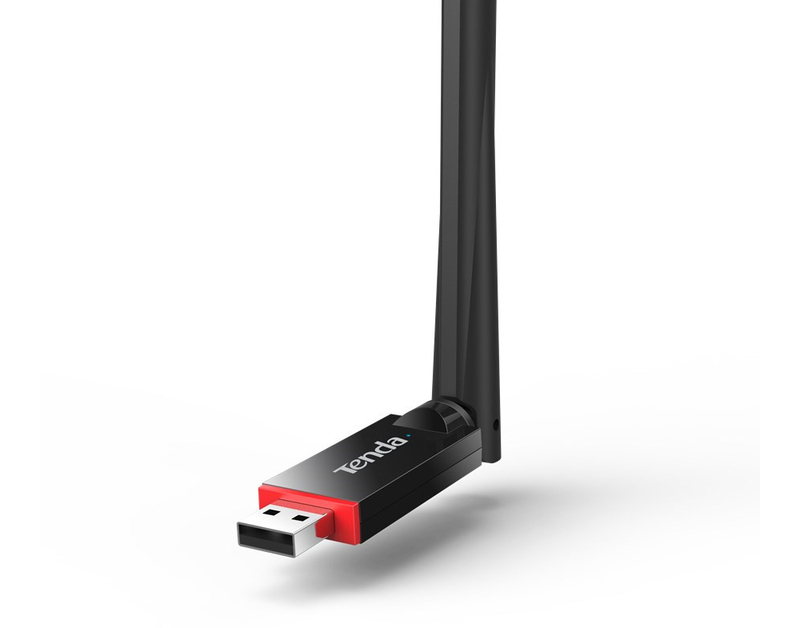 allowing you to pick up wireless signals anywhere at home. 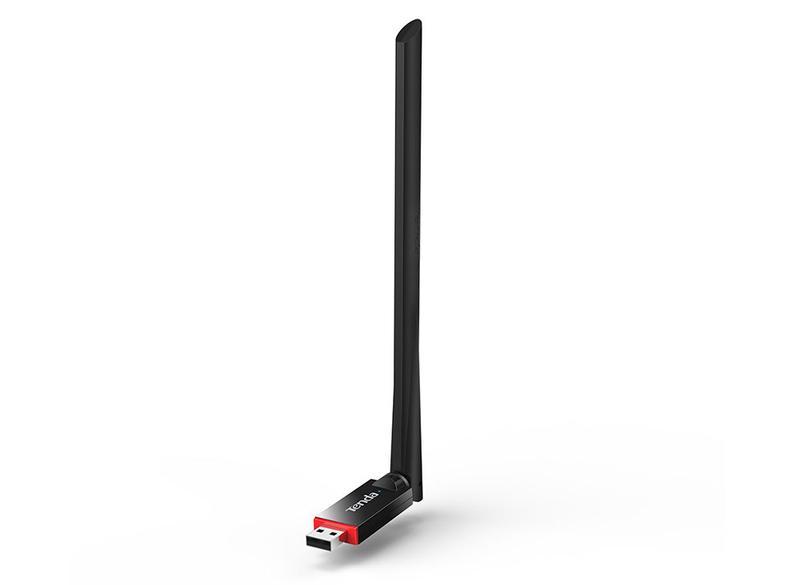 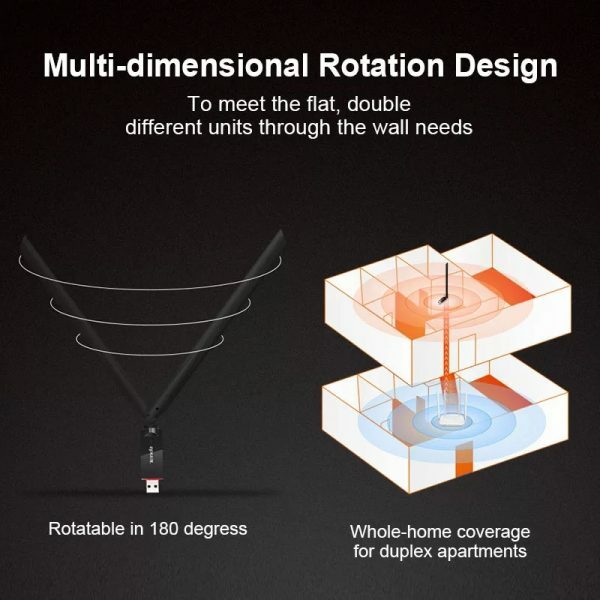 you can point the antenna at any angle according to your apartment layout for optimum signal reception. when its antenna is paralleled with the antenna of your router. 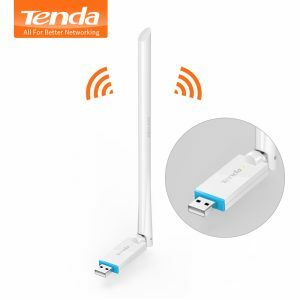 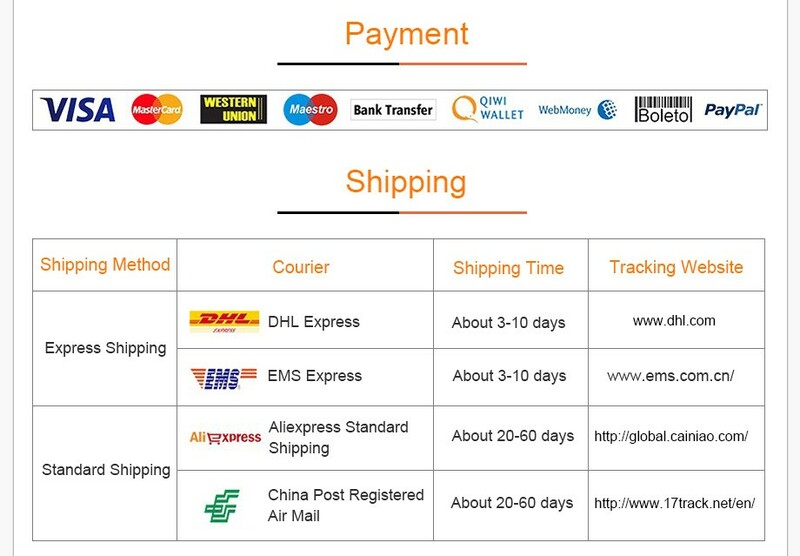 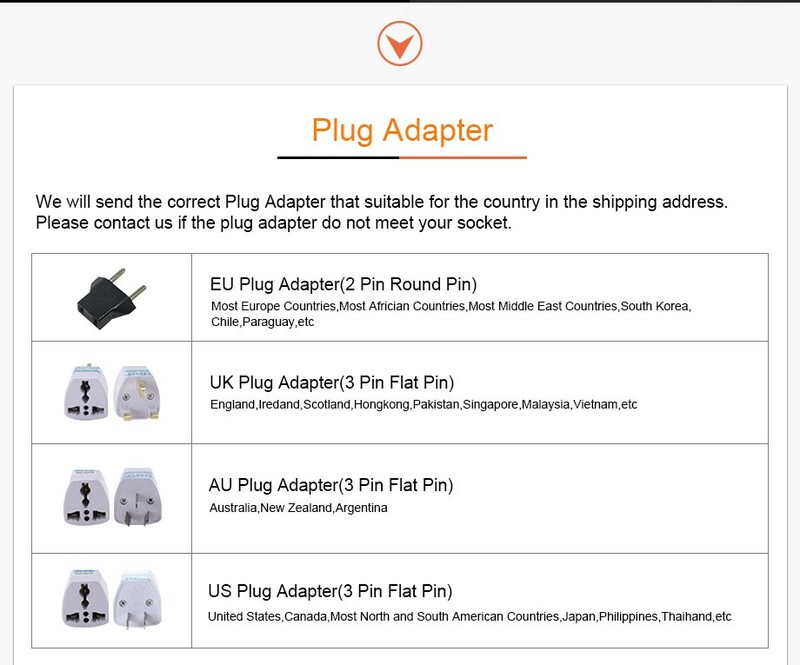 Powered by the 300 Mbps wireless chip solution, its downloading speed is twice the speed of a 150 Mbps wireless USB adapter with a 100 Mbps internet connection. 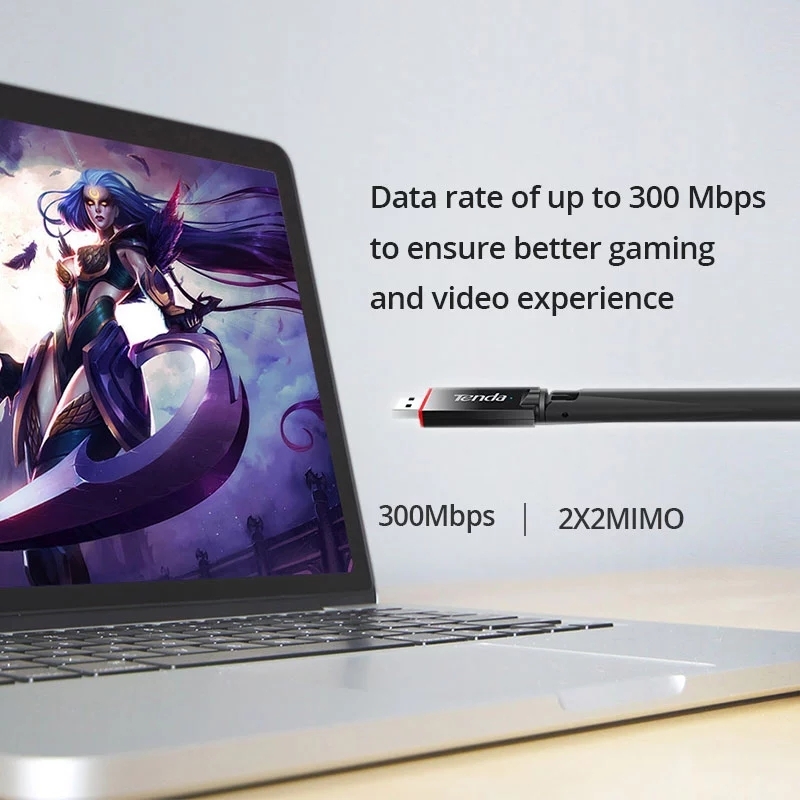 The 2 x 2 MIMO architecture offers better wireless connection performance and stability for outstanding gaming and video experience. 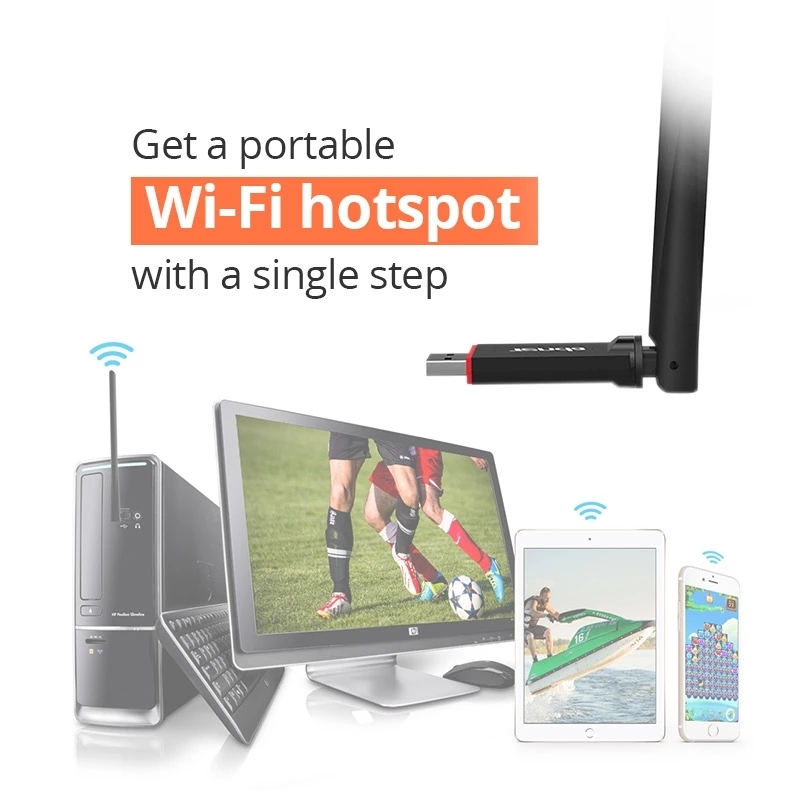 so that wireless clients such as mobile phones, tablets, and computers can access the internet through U6.